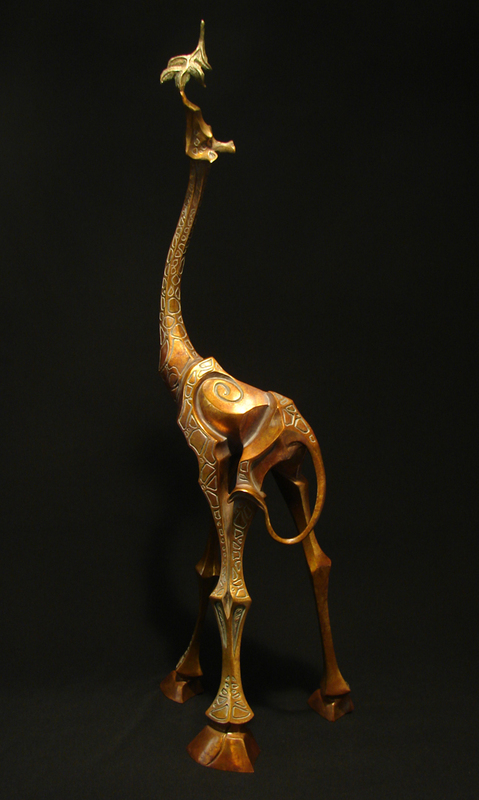 Grace is a perfect name for the beautiful flowing lines of the giraffe. The left legs are put together almost as one, divided only by a fine line. The eye travels up the form via this tripod stance and moves the energy of the piece through the body, to the head, and out through the leaf she is nibbling.